스튜디오 모니터링 스피커인 Focal의 CMS 50을 구입하면서 받았을 데모 CD를 오랜만에 연구실 CD장에서 꺼내서 집으로 가져왔다. 그리고 iTunes에서 importing을 한 후에 몇 개를 골라서 들어 본다. 스피커 회사에서 선곡한 곡이니 당연히 스피커의 성능을 체크하기엔 적합하다. 리퍼런스 CD라고 표기하지 않고 Demonstration CD라고 표현했더라도 스피커의 특성을 알아보기엔 좋은 음악을 모아놓은 CD들이다. 녹음과 믹싱이 매우 잘 된 곡들로 구성되어 있다. 끈적끈적한 재즈에서 부터 웅장한 클래식까지 다양하게 구성해 놓았다(재즈가 많긴 하다). 모두 6장의 CD로 구성되어 있다. 1번부터 7번까지 있는데, 2번 CD가 빠져 있다. 이유는 모른다. 아무튼 작은 퍼커션에서부터 더블베이스까지 거의 대부분의 악기소리도 들을 수 있다. 필요한 분은 내게 이야기하면 빌려줄 수 있다. 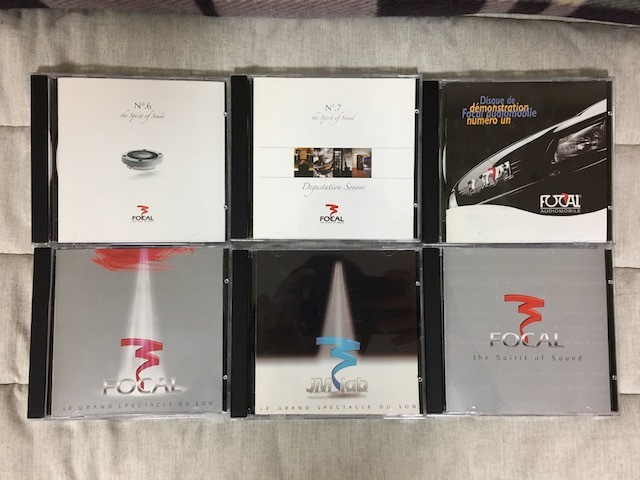 I have Focal demonstration CDs, that I got as a gift, when buying Focal’s CMS 50 studio monitoring speaker some years ago. I brought these from the my office to home today. And after exporting these in iTunes, I am listening a few of them during writting this post. 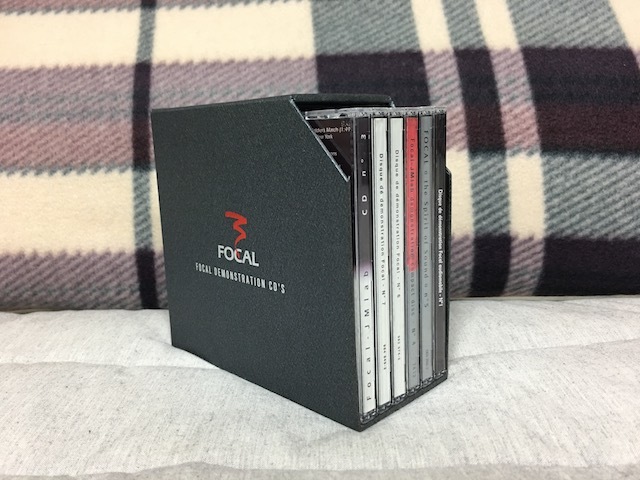 These CDs consist of various musics selected by FOCAL, the studio monitoring speaker company. Although these are not reference CDs, these are good music to understand the characteristics of the monitor speakers. 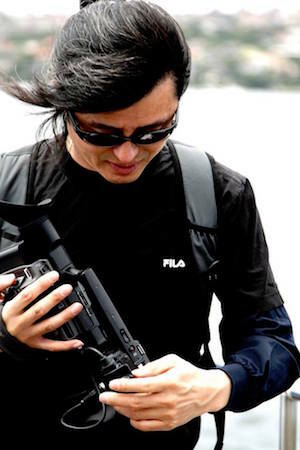 these consist of musics that are very well recorded and mixed. It has a variety of compositions ranging from sticky jazz to magnificent classics(but, lots of jazz relatively). This collection is composed of six CDs in total. There are from 1 to 7, and the 2nd CD is missing. I do not know why. Anyway, you can listen most of the instruments sounds from small percussion to doublebass. I can lend these to you, if you need these.